Y'all know I'm a sucker for a goodie bag. 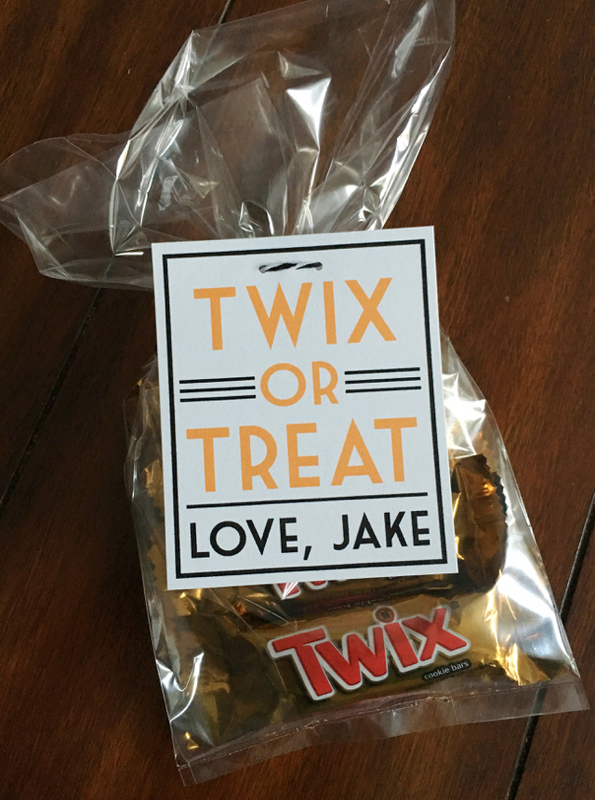 No birthday or holiday is complete without the tiniest little package for all of Jake's pals! 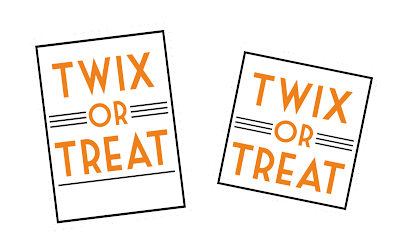 So enjoy this yummy Halloween treat, kids! 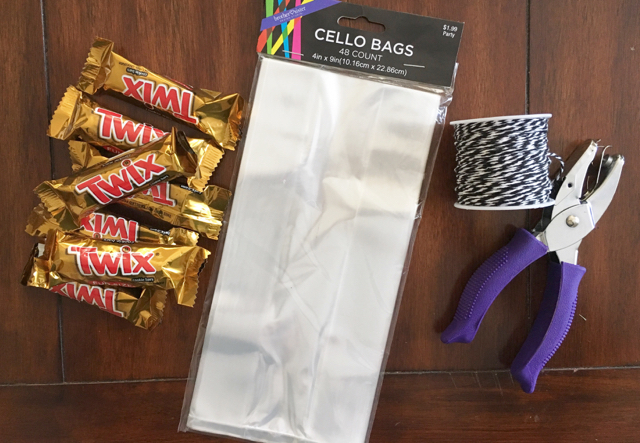 I grabbed cheap cellophane bags and fun sized Twix bars. Then I used a couple of other things I had on hand - black and white baker's twine, a tiny hole punch, and scissors. 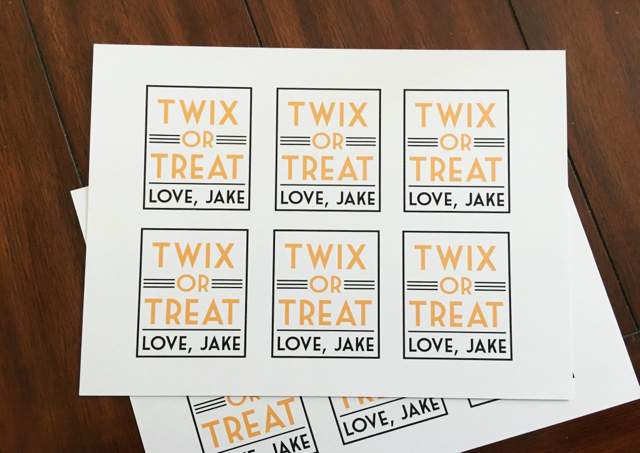 The design I made for these was simple, but cute. I'll even add a couple of options here if anyone wants to download them! Finished product was officially approved by my kiddo. 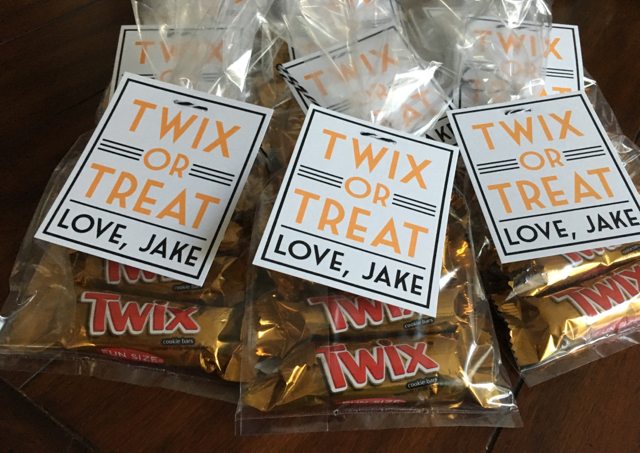 He's excited to take them to his friends at his Halloween party on Friday! Only one week left until the big day! 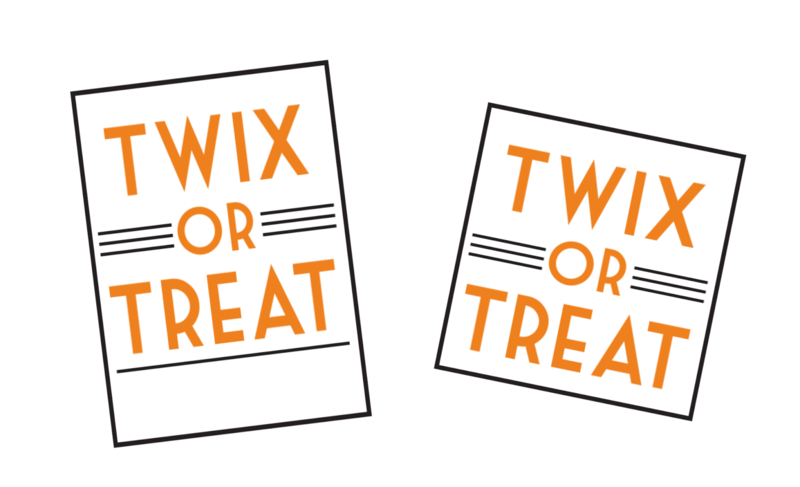 Hope y'all are costume ready!